No, not these (though they’re nice, too). 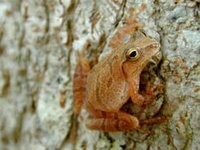 I have always adored Spring Peepers. They promise warm evenings, windows thrown open, sweet summer on the way. I’ve seen them on a just few occasions, because they’re only an inch and a half long and well camouflaged, but I sure do know they’re out there. I was driving down my road this evening, with the windows open because it’s finally warm enough, and as I passed the beginning of the woods, there it was, that wonderful sound, a happy ending to my day. It’s gotten colder tonight, too cold to open the windows and listen some more, but I don’t mind. Spring Peepers = Big Smile. 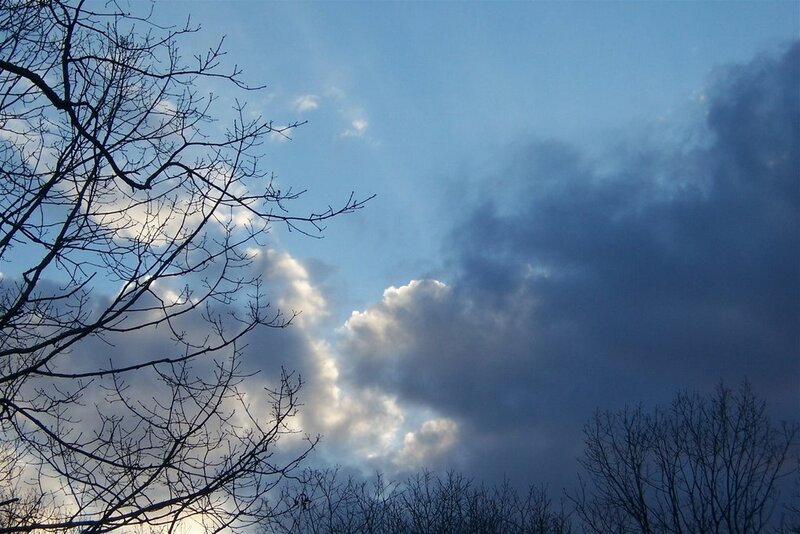 And here’s a Stupendous Spring Peepin’ Sky picture for Sandy. 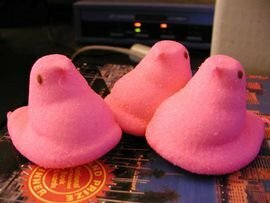 peep peep’in from WA to NY.. I sent off some peepers and some cadbury eggs to my daugher.. such fun… and what a nice sky. We have little tree frogs that sing in the spring. Late at night I like to go outside when it’s still and listen to them, a little reminder of the beauty of natural diversity. The cloud picture is stunning.. just beautiful! Oooooo Spring Peepers!!! I haven’t come home late enough in the evening to catch them yet – and it’s been terribly dry, so there are only a few places where they’d gather to hold their concerts.I think I’ll go out tonight and see if I can hear them singing. Thank you for the sweet reminder. I don’t know that I’ve ever heard a peeper before or even seen one. Our frogs down here tend to stay cool in the mud and not in trees. Beautiful pics! And to prove that spring is really here — did you HEAR that thunder. Only a couple but that first one made you sit up and take notice didn’t it? I love peepers too. They signal Spring is here.